6. Still have original remote? Yes, but it's RF, not IR. 7. Checked the file section? Yes, but nothing I know what to do with. 8. Checked Pronto file section (at R/C)? Some older stuff about a Roku SoundBridge. 9. Partially working setup code? CBL/SAT 2371 works fine, but it's missing some functions. 10. Learning remote question? Can't learn from the RF remote. 11. Have you tried the JP1 Lookup Tool? Shows the best match as 2371, which is what I'm using. The upgrade files I found for the most recent Roku devices use NEC1 or NEC2 with device 234 and 194. The lookup tool does not show any built-in codes for the URC-8820N with these devices. Primarily, I want add the "Back" key function. The "Instant Replay" and the "Options" button would be nice, but aren't as critical. Are there any EFCs that work with setup code 2371 that can add these extra 3 buttons, or at least the "Back" button? 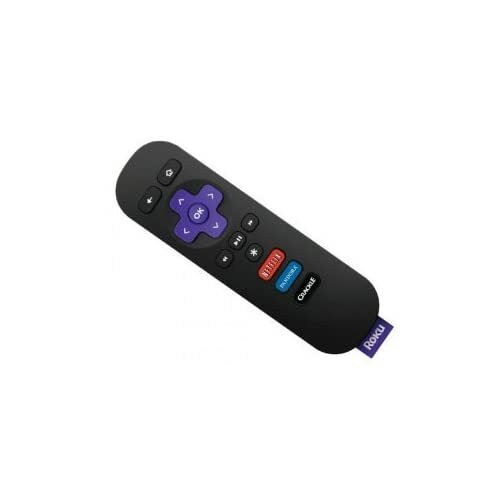 Anyone with the Roku 2 LT/HD/XD that has programmed their remote with 2371, then learned the extra buttons from the Roku IR remote, and identified the codes for those buttons? I'm a complete newbie to the more advanced programming of these remotes, so you may need to speak slowly and hold my hand a bit. Click below to access latest Roku commands, codes and files. These codes work with all Roku models except Stick. You can view these files using the RM program and that will give you the EFCs that are being used. Unfortunately, they didn't include the buttons that you were hoping for. Forgive me if I'm being stupid, here, but others are bound to wonder too. I looked up reviews of the Roku 2 XS (as an alternative to Apple TV) and it says that it has a Bluetooth remote so that you can hide the unit out of sight. Does it have an IR sensor as well or does you IR remote send to a Bluetooth relay or something? I looked up reviews of the Roku 2 XS (as an alternative to Apple TV) and it says that it has a Bluetooth remote so that you can hide the unit out of sight. Does it have an IR sensor as well or does you IR remote send to a Bluetooth relay or something? The Roku 2 HD, XD, and XS all support both IR and Bluetooth. The LT does not support Bluetooth. The XS comes with the Bluetooth remote. The others come with the IR remote. Probably faster and easier to just try all 256 EFCs using Cable 2371. When the 5th digit is entered the remote will send the IR signal. You can hold the 5th digit to make it repeat. Try it with a known EFC, and then just go through the EFCs systematically. It's actually pretty fast. The known EFCs are all closely bunched when expressed as OBCs (the actual function number as opposed to the encoded EFCs). I would try consecutive OBCs starting at 9 (1-8 are already known to be in use), convert the OBCs to EFC format with RemoteMaster, and try those EFCs first. I recommend the approach that 3FG suggested and I have a worksheet that you can use to do it. This worksheet lists all the EFCs in OBC order, so it greatly increases the chance that you will find what you're looking for early rather than later. For example, the 9 known EFCs (from my earlier post) are the first 9 OBCs in the worksheet. Those commands are not under SAT 2371. Sloppyedwards, I suggest you look in the Channel Store in the menu of the Roku, bottom row are deals on roku systems, and IR remotes with above commands. Hey Edmund, do you have IR remotes that have those commands? Do you have any JP1 learning remotes and are you back on a PC yet? Rob, I do have a IR remote with those commands, and my PC's are up and running. But I don't have a original jp1 learning remote, which is the only jp1 cable I have. I have many jp1.2 or 1.3 learning remotes, but no cable to go with them. Tommy Tyler sent me phototype cable, but emailed me later it was faulty design. Never got a working cable. I can mail the roku remote to you? Tommy will be selling JP1.x cables again starting around July 1st, so maybe you can pick yourself up one, then you'll be able to use your learning JP1.x remotes to capture signal information. And yes, you can mail me a Roku remote if you like and I'll capture the signals. I got Edmund's remote and have captured it. While the SAT/2371 uses NEC2 190.239 these learns all use NEC2 234.194 and here's the kicker, there's a toggle bit, so it looks like each button uses 2 OBCs. So, bottom line, we would need a protocol upgrade to generate these signals. Thanks for comfirming it isn't availabe via remote alone. The only Jp1 remote to go with jp1 cable I have are very old, sticky, non-learning, backlight not working urc-9800 producer 8's. I haven't had the urge to program my newest toy, a mx-780, which I received the an employee discount on from Hank Eisengrein of URC. For help I given answering URC remote questions over the years. That was nice. But I'll look into getting jp1.2/3 cable for the many of those remotes I still have. You may keep the roku remote. And thanks as always. I just got this thing today so I haven't had a chance to see what other codes might work. I got the Crackle & Netficx from Robs Custom Protocol upload. The 2117 learns a NEC2 234,194 code from another 2117 programed and working with the Custom Protocol. I haven't gotten a clean learn for Pandora which rob also figured out. I'll run through all the codes just in case there are short cuts for other channels, search etc. I don't have much free room left on my 2117. Using the NEC2 protocol without the custom upgrade saves some space. It would be nice to have some macros to cruise through the somewhat tedius process of finding stuff on the ROKU. Also while these codes work for browsing and playing media they do not work as a game remote for the ROKU. Guess none of this is really very useful for what you're looking for. don't let the "Status" fool ya. I've been here forever.